Meet Gin Ferrara, Host of The Upside on 99.3 WBTV-LP! Meet Gin Ferrara, host of The Upside on 99.3 WBTV-LP. 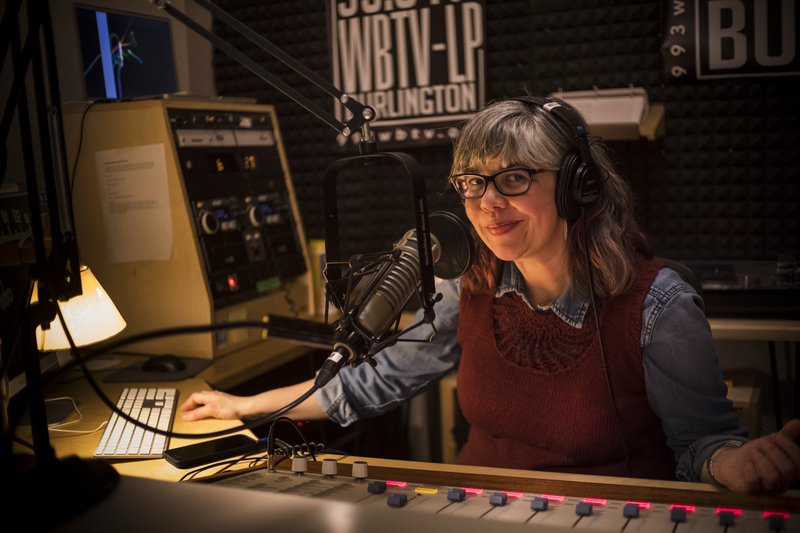 With years of experience in education and local radio, Gin goes through what makes 99.3 WBTV-LP the right place for her and people looking to learn about radio. Gin’s show, The Upside, consists of selected music and interviews. Every show has a theme, something that ties the music and the interviews together. What drew you to WBTV-LP? I am thrilled to have a radio show. I was a DJ back in college in upstate New York and then I moved to another town where there was no community radio, no college radio, no independent radio. So when WBTV-LP got started, I was super excited for there to be a community focused radio station in town. There were lots of opportunities to get a show as things were getting started and I really liked the focus on serving the broader community, having a diversity in voices, and that this is a learning radio station. What can someone learn from WBTV-LP? People can come in here and not know anything about radio, and not just have a show, but learn how to have a show. WBTV-LP offers workshops every month that are educational both for the programmers and the general public. I’ve been learning a ton from all the other programmers here, it’s a very generous community, people share what they know. I feel like in less than a year I’ve had a show, I’ve grown a ton as a host and a programmer. The Upside is Wednesday mornings from 9-11 AM. It’s a talk and interview show on a theme. I like the idea of having a bigger picture theme that I’m going for, it really helps make a playlist and encourages me to look for new music. For example, a show about food allergies, we had a lot of music that was food related. Overall, the interview part is talking about things that are going on in-community; people are doing cool things, upbeat things, or unusual things that help bring people together. Listen to The Upside Wednesday mornings from 9:00-11:00A.M. on 99.3FM WBTV-LP, or online at 993wbtv.org.